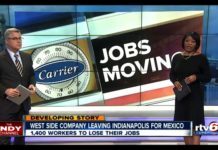 A labor shortage is affecting numerous American industries. An executive order from President Trump aims to align federal job training initiatives with industry needs. Job training got a boost as President Donald Trump ushered in a new workforce development council yesterday. Leading corporations and trade associations pledged training opportunities for 3.8 million American workers over the next five years. 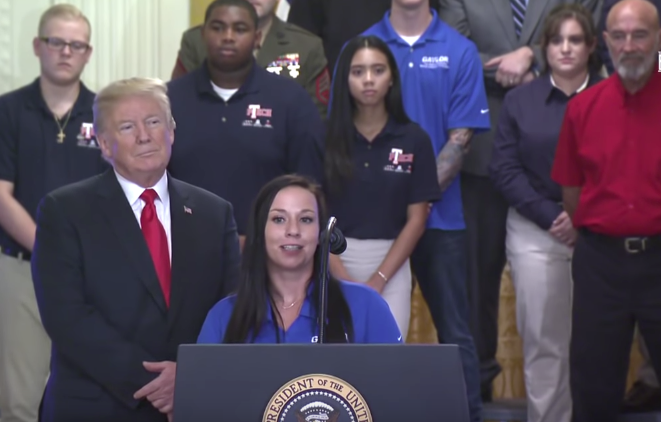 Executives from FedEx, Northrup Grumman, Raytheon, General Motors, Home Depot, Microsoft and the Aerospace Industries Association were among the 23 private sector entities represented at Trump’s “Pledge to the American Worker” event at the White House July 19. President Trump also signed an executive order creating the Council for the American Worker, composed of Cabinet members and advisers. The council will oversee current government training programs and measure their effectiveness in preparing workers from high school graduates to mid- and late-career workers for jobs in the new economy. 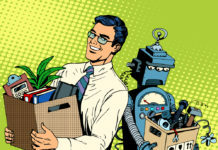 With 6.7 million job openings in June and a shortage of skilled workers, employers are struggling to fill middle and high-skilled occupations. This labor shortage is limiting their progress and, by extension, the U.S. economy to grow. The executive order and the “Pledge to American Workers” are an effort to increase apprenticeships, STEM training and retraining for older workers to close this employment gap and help 6.4 million unemployed Americans get back to work. “Every day we are lifting our forgotten Americans off the sidelines, out of the margins and back into the workforce,” President Trump said. Trump added that to keep the U.S. economy moving forward, more investment in training workers is critical. “We need talented people. We need people with training,” the president said. Ivanka Trump, who serves as White House adviser, is also taking part in the administration’s push for more job training. She outlined the initiative’s goals in an op-ed published ahead of the executive order. The new council will meet the demand for skilled workers by developing a strategy to expand apprenticeships and align programs with industry needs. The president also announced the creation of an outside advisory board of “industry leaders and experts” to shape public policy and work with the council. The Trump administration has previously recommended consolidating federal programs and the departments of labor and education to coordinate job training. Last year, President Trump signed an executive order to increase the number of apprenticeships. Secretary of Labor Alexander Acosta announced $150 million in federal spending for these “earn-to-learn” programs on Thursday, according to The New York Times. This money will go to apprenticeship programs targeting older workers, underserved communities, and veterans for careers in the trades and emerging industries. 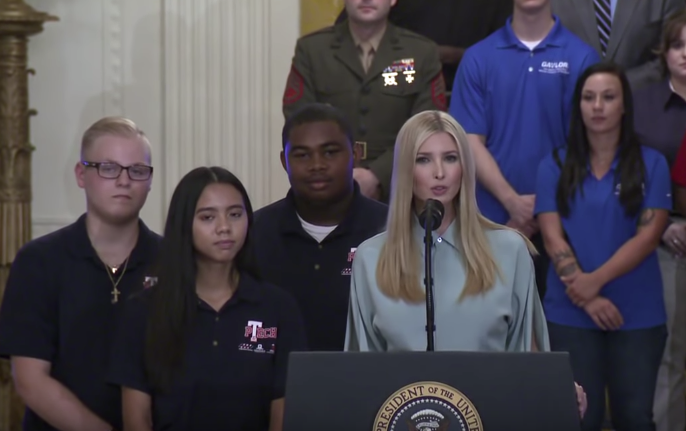 To underscore the commitment to increase the skills of American workers through vocational education and apprenticeships, President Trump invited three individuals to share their stories with the public. Brianna DeAngelo, Johnita McNair, and Carl Green represented how vocational training has connected people from different walks of life to good jobs. McNair considered herself a “late-bloomer” and took advantage of a hotel management apprenticeship program in Florida to serve as an example to the younger generation as a leader. Green, another older worker and veteran, said that he was “bored” by retirement and found an encore career as a trucker. He joined an industry which is facing a severe labor shortage. Their stories illustrate the changing view of vocational and Career and Technical Education (CTE) happening nationwide. As the market for skilled workers shrinks, there is more attention in developing untapped talent pools: workers without college degrees, the formerly incarcerated, veterans and minorities. Community colleges and vocational schools are a primary resource for delivering the skills to workers, whether they are just entering the workforce or adult learners who want to upgrade their skill sets. The revival of CTE is accompanied by the proposed reauthorization of the Carl D. Perkins Career and Technical Education Act, which is making its way through Congress. If reauthorized, the act will increase access to CTE training programs and apprenticeships and allow individual states to take control of how they allocate federal funding to support them. Strengthening and enhancing vocational training is one part of the equation for modernizing workforce development. The other part is what the private sector will do to create skilled labor. 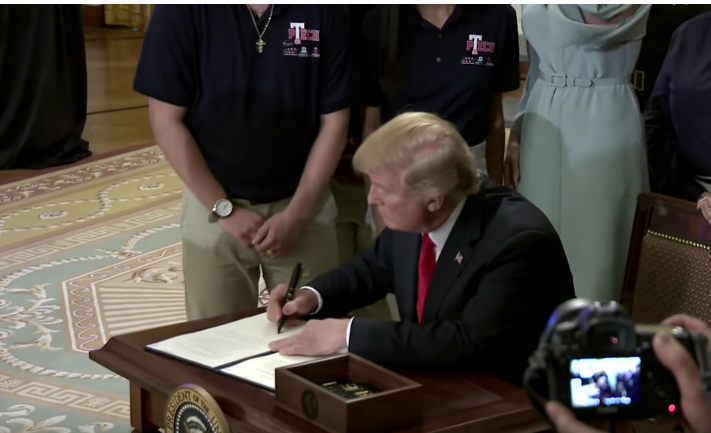 The companies and organizations which signed President Trump’s pledge touted the number of career and training opportunities they will offer workers. Several companies present at the event are featured through WorkingNation’s coverage of the changing landscape of work. IBM Vice President of Corporate Citizenship Jen Crozier announced to Trump that the company’s skills training initiatives would reach 100,000 people. IBM will accomplish this through proven programs like P-TECH, which introduces “new collar skills” to high school students. IBM is also working with the Department of Veterans Affairs to develop technology which will enable veterans to access job training opportunities. Governor Scott Walker said that Wisconsin’s new Foxconn manufacturing plant is hiring 13,000 workers. Gateway Technical College in Kenosha is the primary hub for training them. Gateway’s partnership with Foxconn is an example of a community college responding to the labor needs of regional industries by developing curriculum and career pathways to Industry 4.0 jobs. The National Association of Home Builders pledged 50,000 training opportunities through the Home Builders Institute (HBI), which prepares young people and military service members for careers in construction. 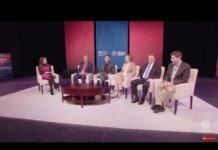 HBI President and CEO John Courson was a featured panelist for WorkingNation’s Town Hall on veteran employment, and he explained how HBI’s on-site job training increases the likelihood of veterans making a successful transition to civilian jobs. The Society for Human Resource Management (SHRM), which was also represented at the Dallas Town Hall, said that the organization will train 127,000 human resource workers through its certification programs. But the most significant commitment came from Walmart, which pledged 1 million career and training opportunities for its workforce. The largest retailer in the U.S. is guiding workers up the career ladder through Walmart Academies and training from within. Walmart also is working to revive domestic manufacturing jobs by sourcing products made in the U.S.A. 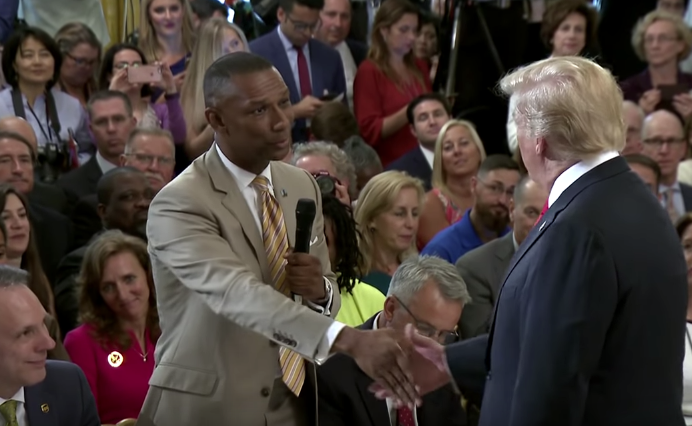 The White House event was a spectacle which is reflective of the current administration, but its central message was that the federal government, states, and private enterprise are working together to modernize job training. 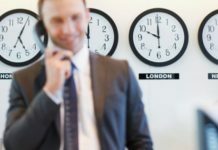 Workforce development, which has languished in the previous decades, is being recognized for the value it has in strengthening the American workforce. Now it is up to the stakeholders to follow through on their pledge. Join the Conversation: Tell us what you think about the Trump administration’s commitment to the American worker on our Facebook page.